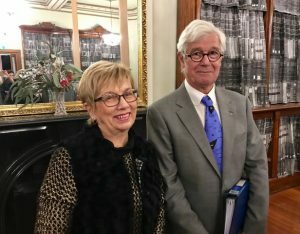 We would like to express our great appreciation especially to generous Julian Burnside – Public who spoke so well at our event on the 25th July in Melbourne, addressing the question “Does our governments cruelty keep us safe?” in support of Citizen Advocacy. Thanks to those who made it a great evening. It’s fair to say the audience loved what Julian had to say and were impressed by the purpose and outcomes of CA as well. Thankyou indeed to all who really put in a lot of effort to make this fundraising event happen especially organizer Heather Hindle supported by John Armstrong, Joan Clooney, Miriam Perkins, and Christine Venner – Westaway. Please feel very welcome to share your photos or comments on the evening and thanks to those who already have!